There are many guns out there, but what is hard is to make a short list of the five most reliable guns you can buy. Isn’t easy right? In this video below, there are five firearms that we believe to stand out among all the others. The are all exceptionally reliable, choosing a pistol, SMG, shotgun, bolt-action, as well as a self-loader to top it all off. So what do you think about this short list? Do you think they deserve to be here or there are some other guns to add instead of them? Let us know your thought in a comment bellow ! ANNAPOLIS, Md. 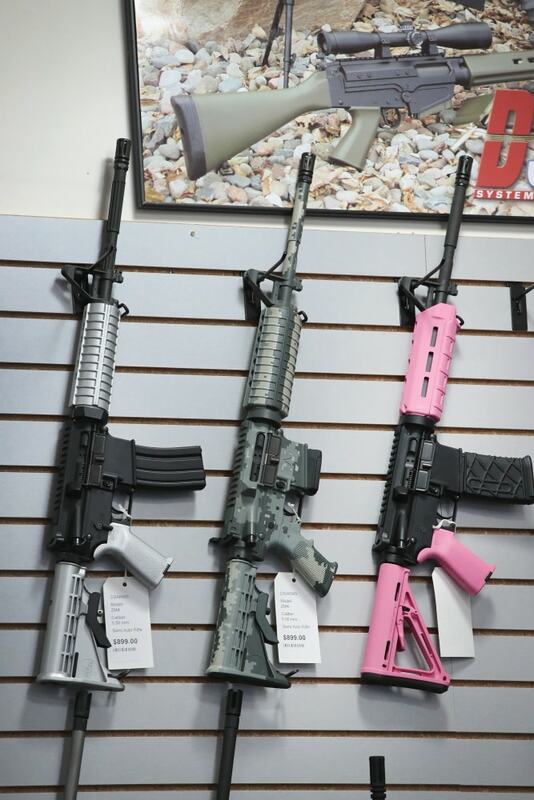 — Maryland’s ban on 45 kinds of assault weapons and its 10-round limit on gun magazines were upheld Tuesday by a federal appeals court in a decision that met with a strongly worded dissent. “It’s a very strong opinion, and it has national significance, both because it’s en-banc and for the strength of its decision,” Frosh said, noting that all of the court’s judges participated. Judge William Traxler issued a dissent. By concluding the Second Amendment doesn’t even apply, Traxler wrote, the majority “has gone to greater lengths than any other court to eviscerate the constitutionally guaranteed right to keep and bear arms.” He also wrote that the court did not apply a strict enough review on the constitutionality of the law. “For a law-abiding citizen who, for whatever reason, chooses to protect his home with a semi-automatic rifle instead of a semi-automatic handgun, Maryland’s law clearly imposes a significant burden on the exercise of the right to arm oneself at home, and it should at least be subject to strict scrutiny review before it is allowed to stand,” Traxler wrote. The NRA estimates there are 5 million to 10 million AR-15s — one of the weapons banned under Maryland’s law — in circulation in the United States for lawful purposes. Asked about an appeal, Baker said the NRA is exploring all options. “Maryland’s law needs to become a national model of evidence-based policies that will reduce gun violence,” Banach wrote in a statement. U.S. District Judge Catherine Blake upheld the ban in 2015, but a divided three-judge panel of the 4th U.S. Circuit Court of Appeals ruled last year that she didn’t apply the proper legal standard. The panel sent the case back to Blake and ordered her to apply “strict scrutiny,” a more rigorous test of a law’s constitutionality. The state appealed to the full appeals court. Maryland passed the sweeping gun-control measure after the 2012 Sandy Hook Elementary School massacre that killed 20 children and six educators in Connecticut. King mentioned the massacre at the start of the ruling. “Both before and after Newtown, similar military-style rifles and detachable magazines have been used to perpetrate mass shootings in places whose names have become synonymous with the slaughters that occurred there,” King wrote. He listed the 2012 shootings at a movie theater in Aurora, Colorado; the December 2015 shootings in San Bernardino, California; and the shootings last year at an Orlando, Florida, nightclub, where 49 people were killed and 53 injured. “Simply put, the State has shown all that is required: a reasonable, if not perfect, fit between the (Firearms Safety Act) and Maryland’s interest in protecting public safety,” King wrote. Jerry Ziegner, a firearms instructor at Hilltop Firearms Training Center in Dover, Tennessee, believes that 1911 owners who carry with the hammer down are no different from Glock owners who carry with an empty chamber. I remember the first bullets I’d ever seen pulled out of a human body, back in 1990. They were 147-grain 9mm Federal Hydra-Shoks, and of the seven rounds the deputy put into the gunman with his SIG P226, only one of them actually expanded the way it was supposed to. This was because that bullet was just not traveling fast enough to expand reliably; the balance of cavity wall thickness/velocity/bullet weight was off. The first generation Winchester Silvertip JHP design was infamous for not expanding properly, if at all. PEORIA, Ariz. – Apex Tactical Specialties announced the upcoming release on Monday, November 20 of their long awaitedFlat-Faced Forward Set Trigger Kit for the M&P M2.0. In a revealing new Billboard cover story, the Nashville power couple were moved to discuss the topic following the shooting at the Route 91 Harvest Festival in Las Vegas in October. The city of Los Angeles collected guns Saturday as part of its annual no questions asked Gun Buyback Program. They also collected a piece of weaponry that had even seasoned officers scratching their heads. The event was held until 1 p.m. at two separate locations in Los Angeles. People could sell their guns to the city anonymously. Heckler & Koch, the German weapons manufacturer, has been dubbed Germany’s “deadliest company” after an estimated 2 million people have been killed by their guns. However, H&K is now working to put that trend to rest. Her Mission was to Take Down Flight 93 on September 11th. Her F-16 Didn’t Have Any Ammunition. On September 11, 2001, Lt. Heather “Lucky” Penney in an F-16 at Andrews Air Force Base. She had her orders. She was to take down down United Airlines Flight 93. The hijacked plane was headed toward Washington DC. Three other planes had hit targets in New York and Washington, and Flight 93 was destined to become the fourth.